From hip tea lounges to stately hotels to shops reflecting their European roots, New York has tea options to suit every palate and sensibility. 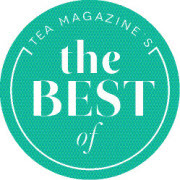 In Tea Magazine’s Best of New York list we present some of our top picks for teahouses, retail shops, restaurants and, of course, traditional hotel tea. This year’s list finds itself rich with destinations in Brooklyn, Manhattan and Queens. Like tea and books? You won’t want to miss Radiance in midtown Manhattan. Want to get swept up in the magic of Alice in Wonderland? Head over to one of Alice’s Tea Cup’s three locations. Is the beauty of Korea and its fine tastes more to your liking? Asian fusion restaurant Franchia might be your pick.